When supporters at a Girls in Action fundraising luncheon last week heard this line — “Teenage girls are blooming flowers.” — they broke into broad smiles and enthusiastic applause. Was it just spring fever? Maybe, but that phrase does seem to capture the essence of this group’s work . . . to make sure every young woman — from North Minneapolis to Guatemala City — receives the nurturing she needs to blossom and achieve. 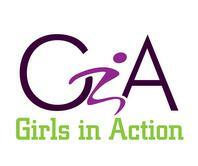 In the years since this aired, Girls in Action expanded across the metro, across the country to Detroit, and even to Guatemala. Now reaching well over 2300 girls, the program focuses on motivating, mentoring, empowering, engaging and educating girls to succeed in school and life. At the luncheon, program director Natalie Johnson Lee shared an impressive list of outcomes, such as a 95-percent graduation rate. Lee and others thanked many partners and supporters, including such philanthropy leaders as Catherine Jordan (previously with AchieveMpls), Sandy Vargas of The Minneapolis Foundation, and Wokie Weah of Youthprise, among others. Attending this event was my first chance to learn about Girls in Action. It seems the group’s close collaboration with the schools is a real plus — because it breaks down barriers to access and boosts academic achievement. Enthusiastic, emotional testimonials from program alumni also provided ample evidence that mentoring programs such as Girls in Action really do make a difference. When they give and receive respect, girls can definitely bloom and thrive.